The polypropylene woofer cone in the CSX-1400BP is engineered for superior rigidity, reliability and sensitivity. The result is increased low-frequency output and powerful, natural-sounding bass. 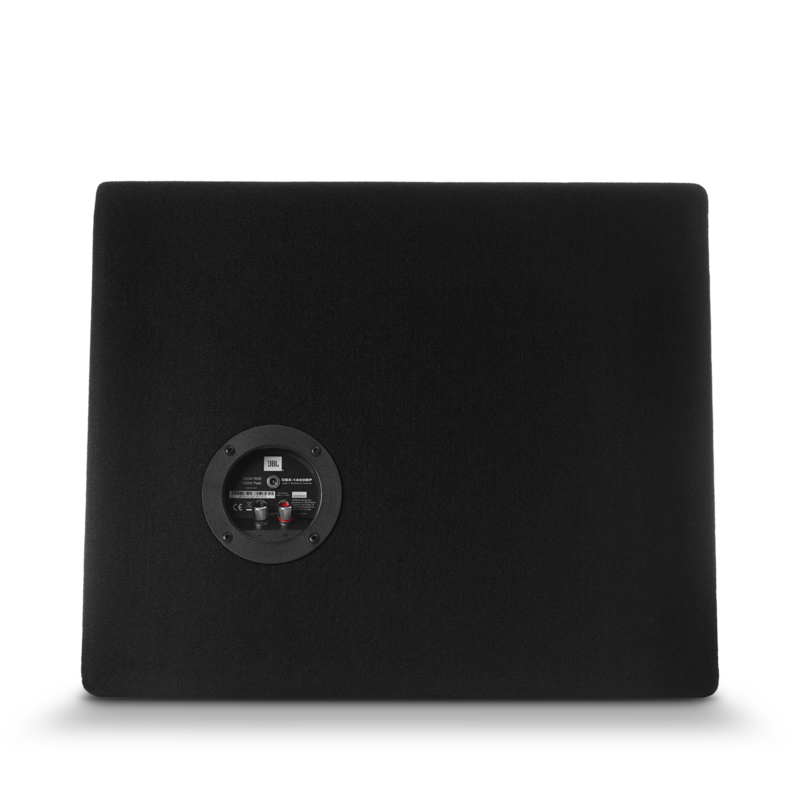 The CSX-1400BP’s enclosure is vented, which enables the subwoofer to deliver ultra-low bass at higher sound pressure levels than a sealed enclosure. Some subwoofers are meant to be seen as well as heard. 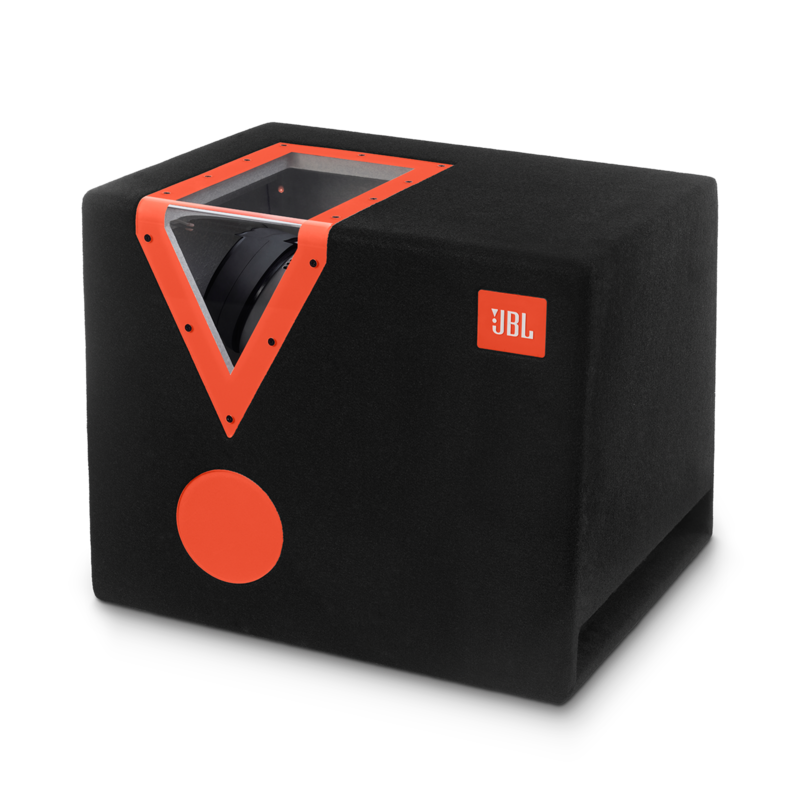 The CSX-1400BP features an acrylic window shaped like the JBL exclamation point, so you can look into the enclosure and see what legendary bass looks like. The CSX-1400BP incorporates orange LED lights within the enclosure. Visible through the look-in window, the LED illumination adds visual impact. The CSX-1400BP bandpass enclosure doesn’t just produce signature JBL bass performance, it protects it. 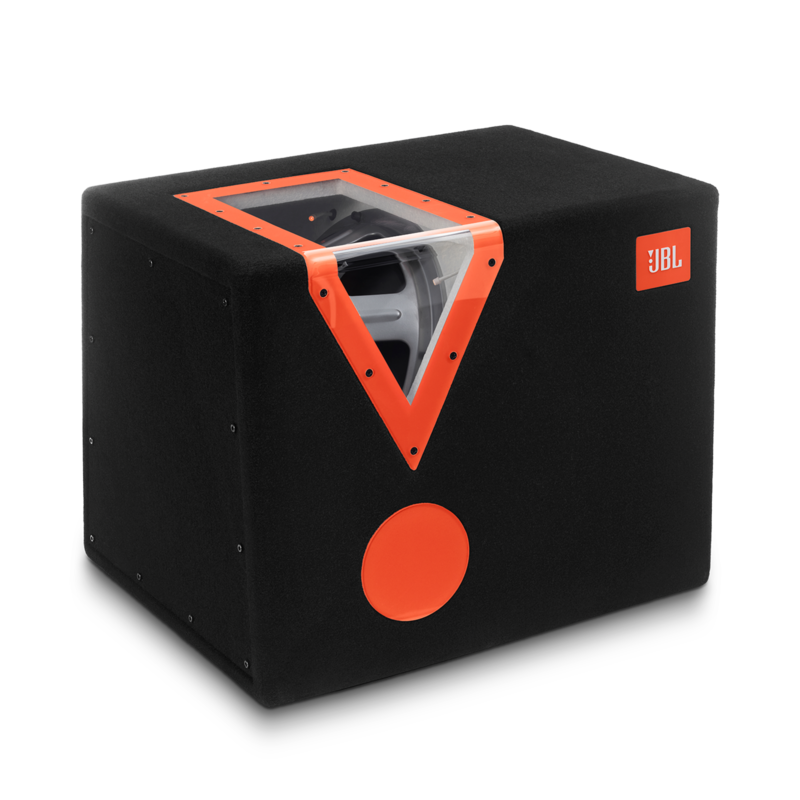 The rigid box keeps the woofer safe from anything that might slide around in your trunk. Some car audio fans love the clarity of sealed subwoofer enclosures.Others crave the added power of vented enclosures. The CSX-1400BP bandpass subwoofer offers both. It delivers accurate bass response and thundering power—as well as a bold look. 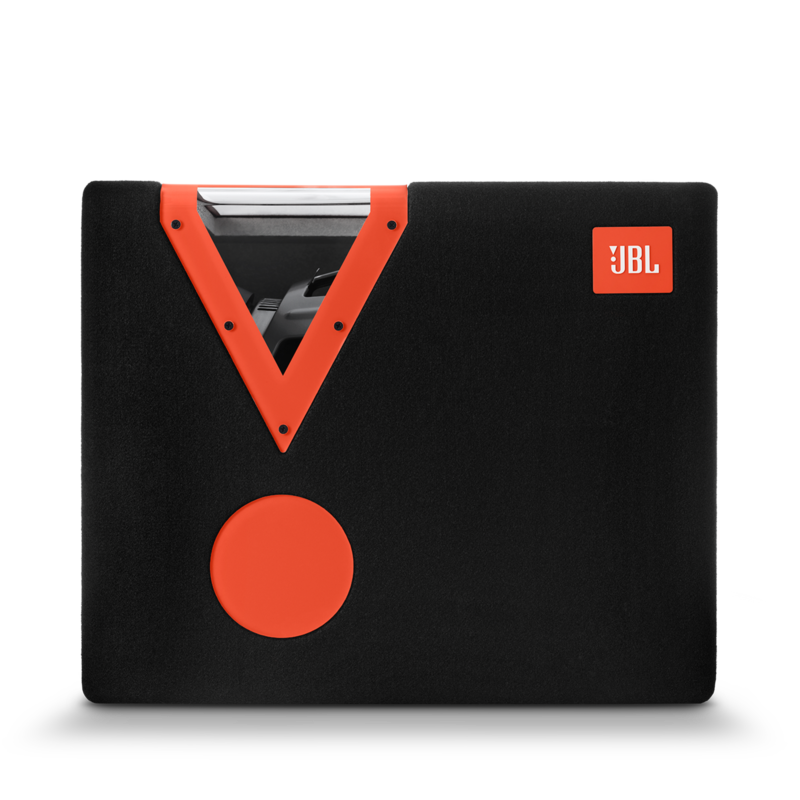 The stylish box features a look-in acrylic window shaped like the JBL exclamation point, making the CSX-1400BP as appealing to the eyes as it is to the ears. 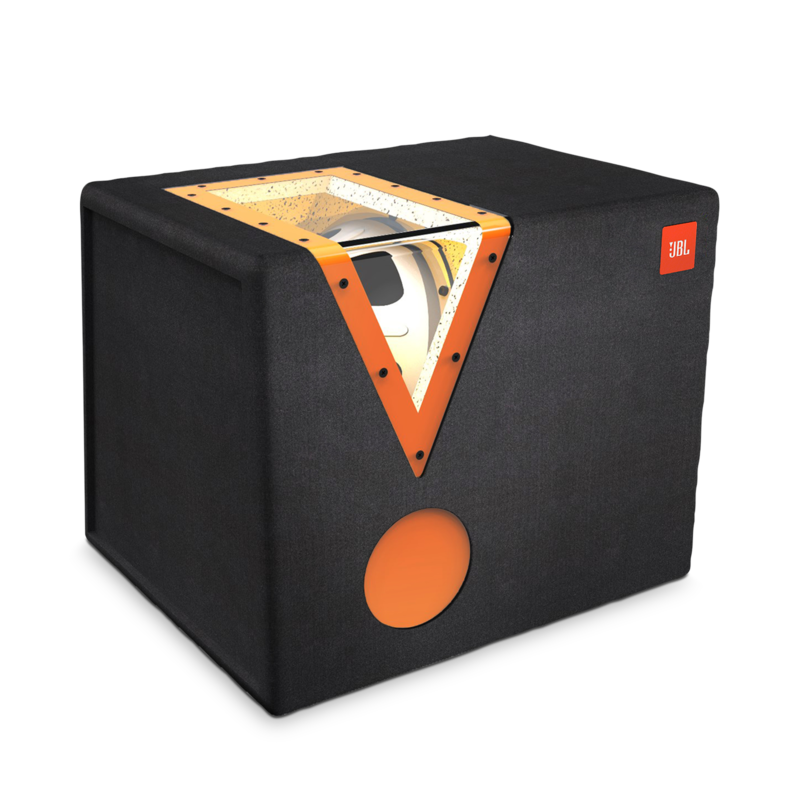 And the sturdy enclosure shields the 12-inch polypropylene woofer from items that might shift in your trunk. The great value CSX-1400BP proves you don’t have to spend a fortune to enjoy legendary JBL bass.